This weekend I’m taking part in the London to Brighton walk, 100km (60-odd miles) non-stop and overnight, for Asthma UK – helping to raise money for a new research centre which will benefit anyone with asthma and help prevent the 1,000+ asthma deaths a year. As the walk approaches, it’s safe to say I’m getting a bit apprehensive (especially given the current weather). And you can see the route I’ll be taking on GoogleMaps. 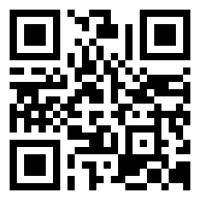 If you’d like to sponsor me, please do so, using the QR code here, or by visiting my Virgin Money Giving page! And if you click on the picture below (from Dartmoor at Christmas), you can see some of my pictures from my training walks (I reckon I’ve clocked up 300km of walks in some pretty nice places since the start of the training).